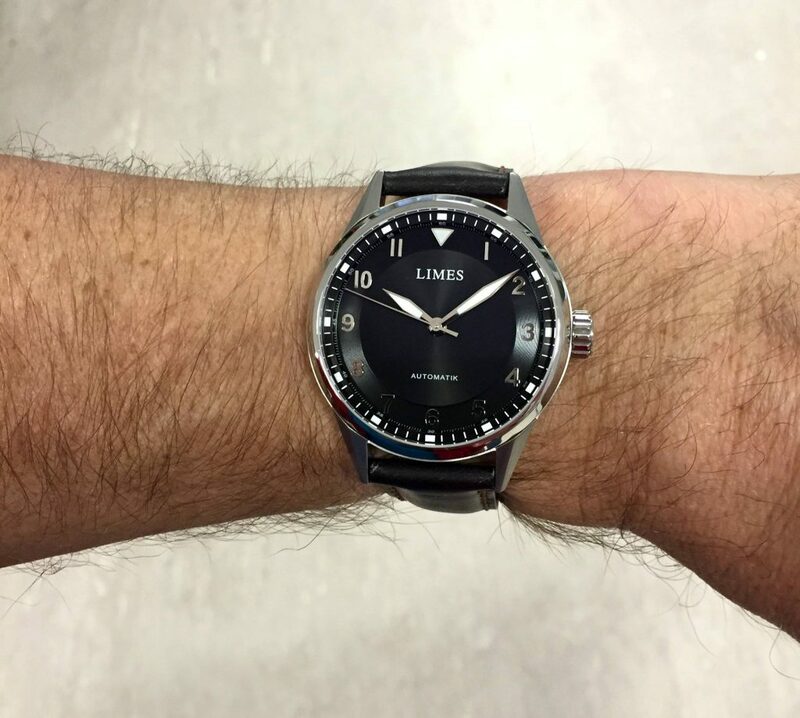 LIMES presents the completely new version of the NightFlight. 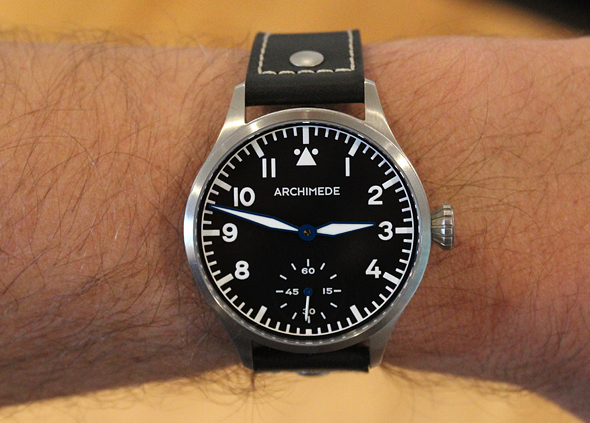 With a diameter of 42 mm the new NightFlight is very comfortable to wear. The ICKLER case with the distinctive angled lugs is polished and brushed. 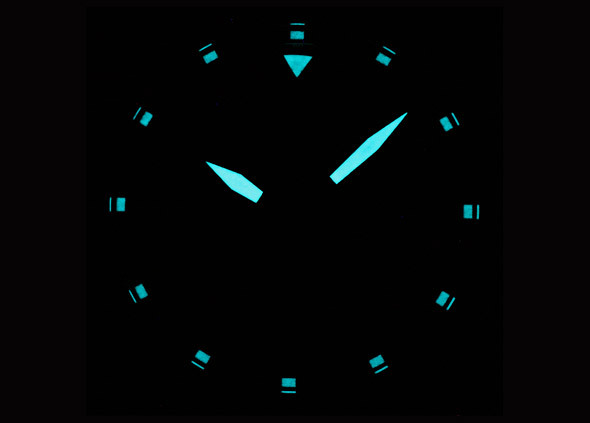 With the handy crown setting time is easy. 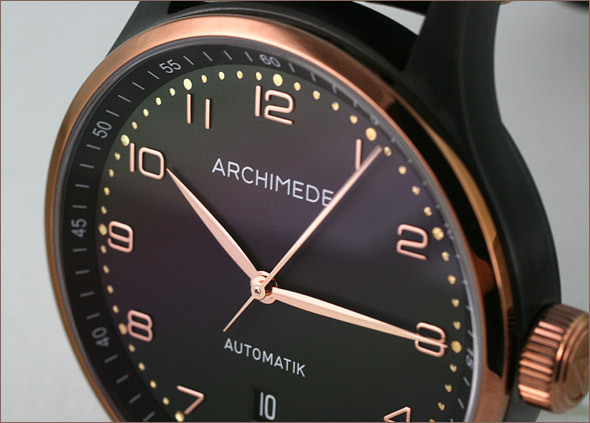 The A/R coated sapphire crystal together with the large lume areas of dial and hands ensure perfect readability of day and night. 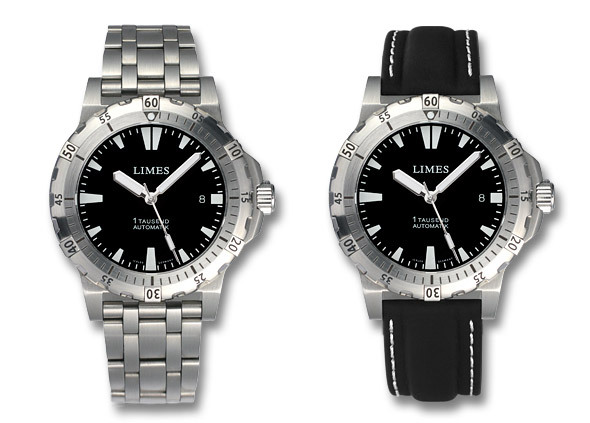 The NightFlight costs EUR 780 (including VAT), EUR 655,46 (without VAT) and can be ordered directly from LIMES. 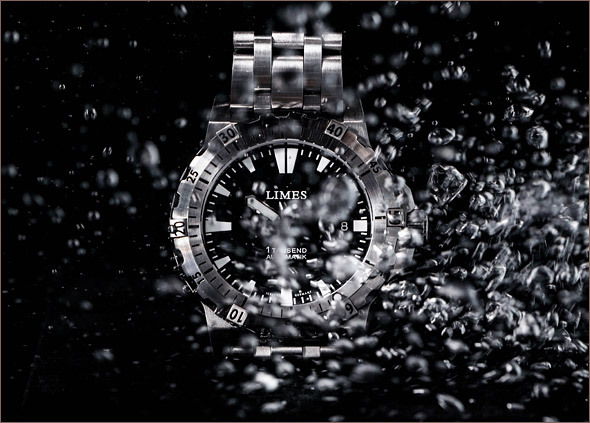 Thank you BeechStudios for the great underwater pictures of our new Divers’ watch LIMES Neptun. 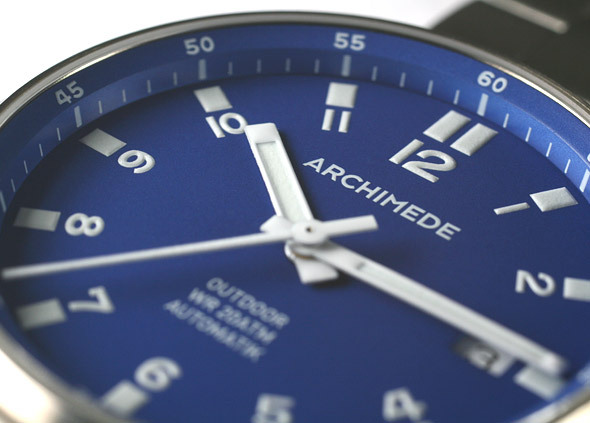 We are happy to inform you that the ARCHIMEDE OutDoor Donau is now online available. 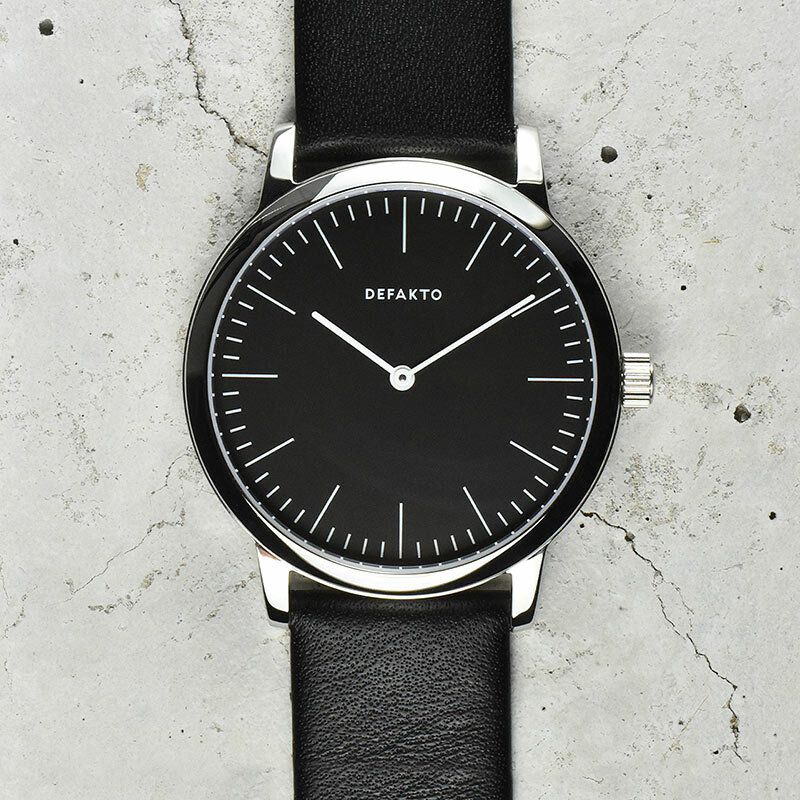 The prices starts at EUR 720 (incl. VAT), EUR 605,04 (without VAT). 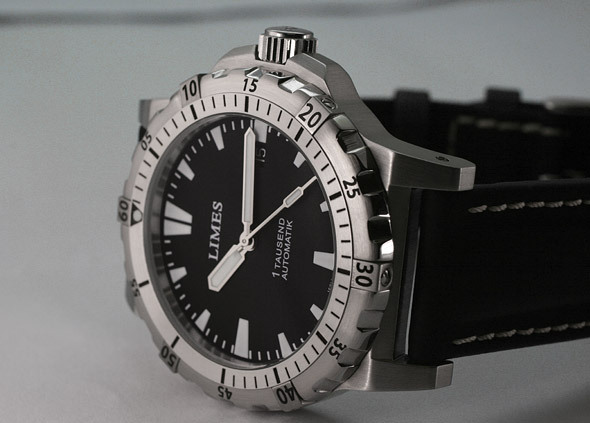 We are happy to present the new version of the LIMES diver NEPTUN. 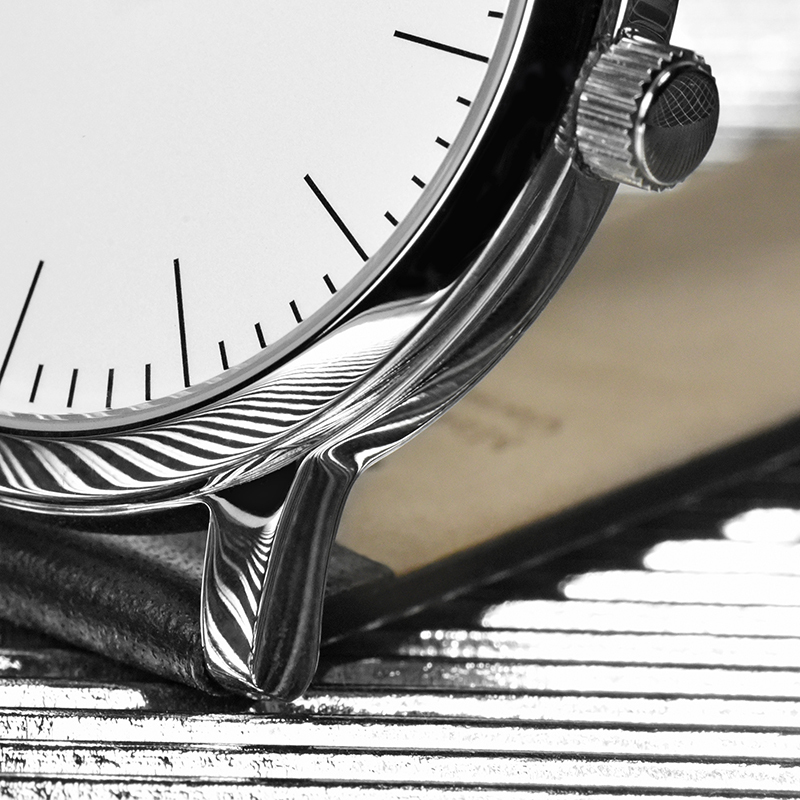 The Ickler diver case is now polished and brushed. Due to the new polished hands readability is perfectly given. The prices remain the same – from EUR 960 (incl. VAT) to EUR 1060 (incl. VAT). 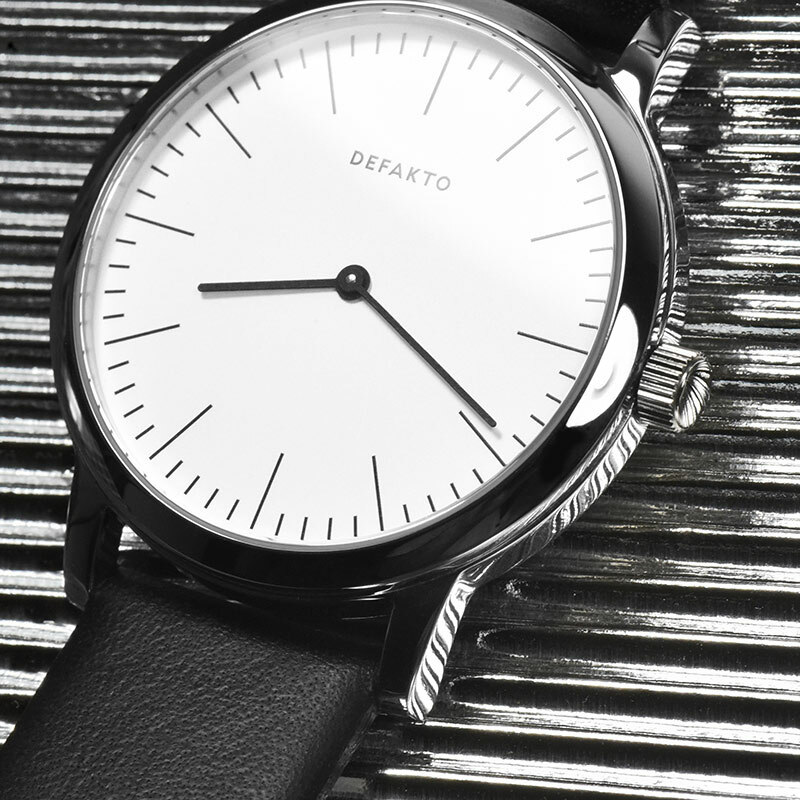 As an addition to our successful unisex Detail series the two handed Defakto Dialog has just been released. 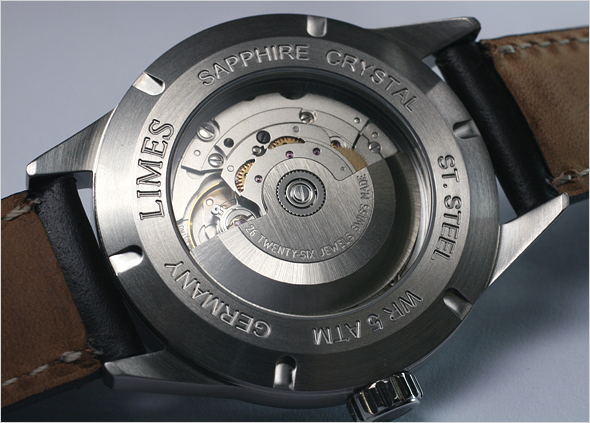 It is our most economically priced watch – having a starting price of 250,00 € incl VAT / 210,08 € excl VAT. 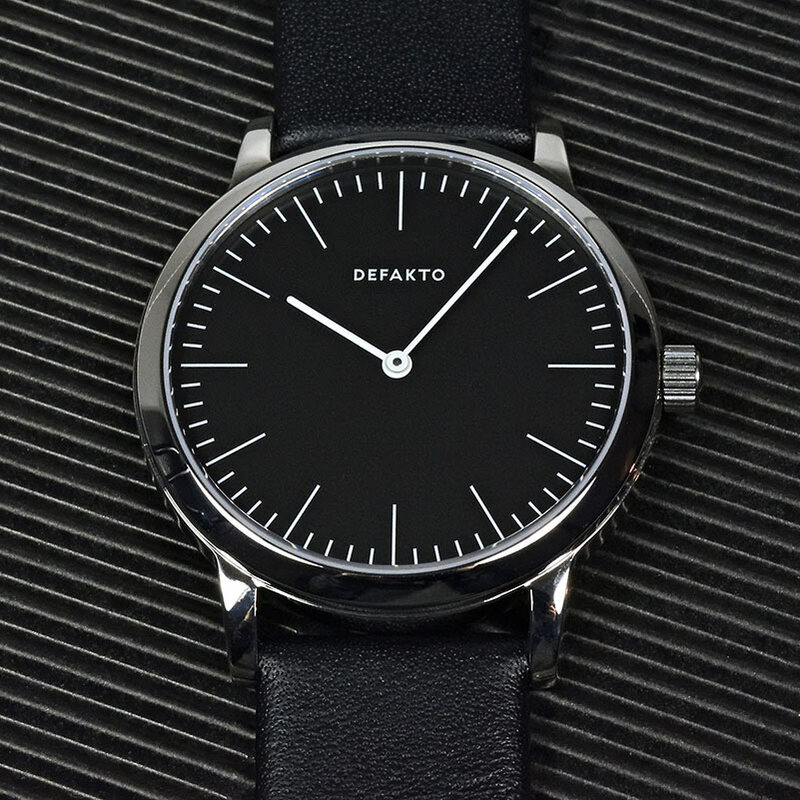 The understated and elegant Defakto Dialog comes embedded into our acclaimed 6.6 mm flat stainless steel case with a new high-polished surface. 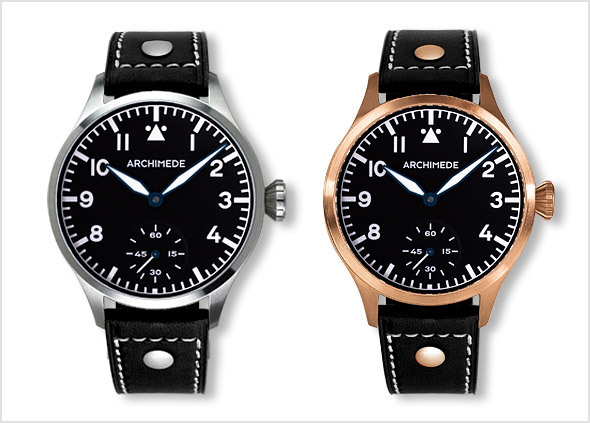 It is available in two dial color variations – matte white and matte black. 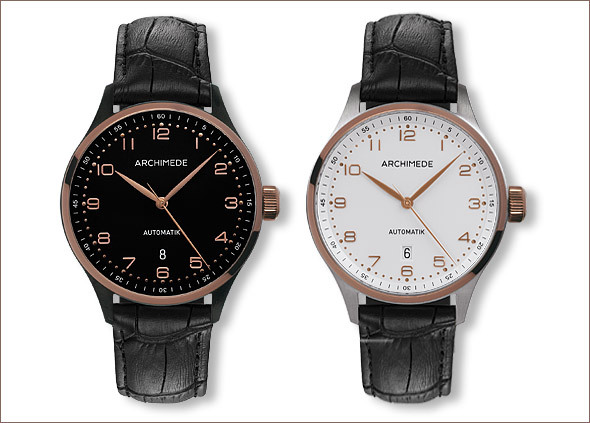 The characteristically and finely drawn indexes of the dial and its light, rounded hands give a easy to read access to the actual time. 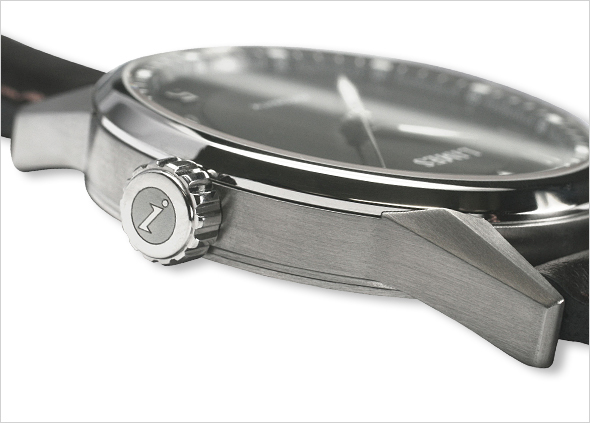 Pilot 42 KS Stainless Steel with individual engraving of the winner. 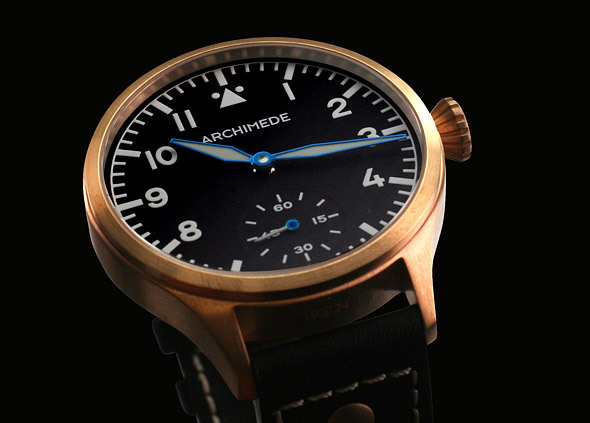 What you have to do: Please go to Facebook, ‘like’ our post and you enter the ARCHIMEDE raffle. Of course we are happy if you leave a comment and also share the post among your friends. We inform the winners on Facebook! 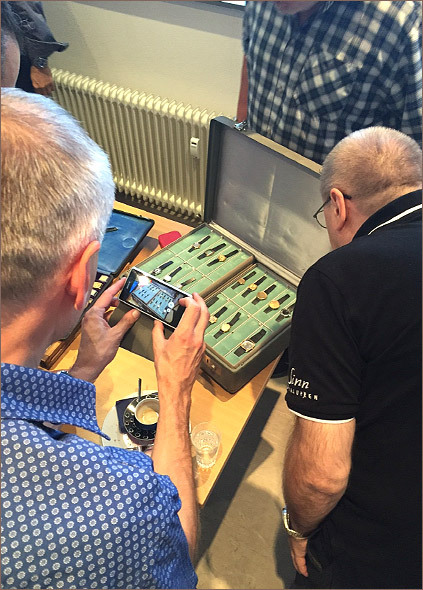 A big thank you to Mr. Sieß from Sinn Watch Forum, who organised a trip to our company. 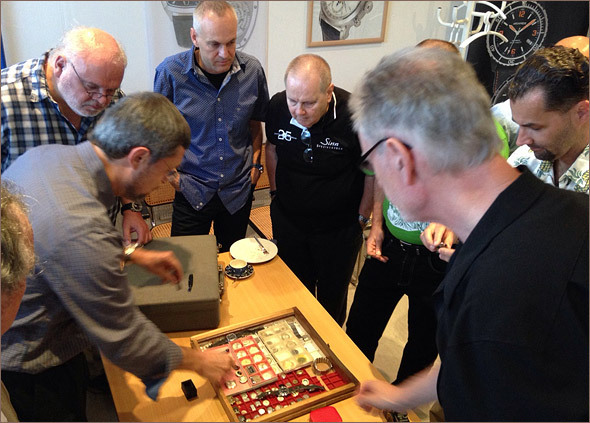 He visited us with 15 forum members on Friday, 23rd September. 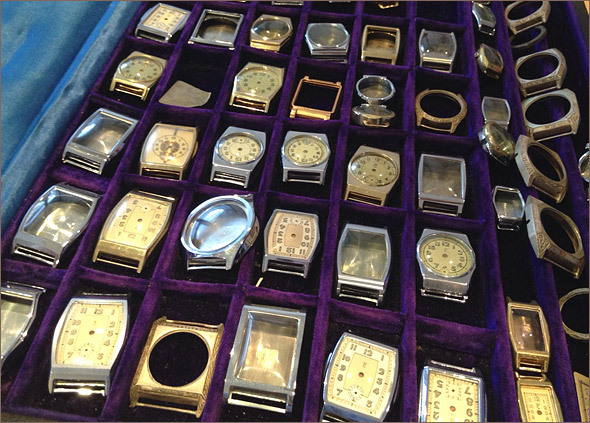 Mr Thomas Ickler spoke about the history of Ickler company (since 1924), the manufacture process of watch cases and as well as about our brands LIMES and ARCHIMEDE. 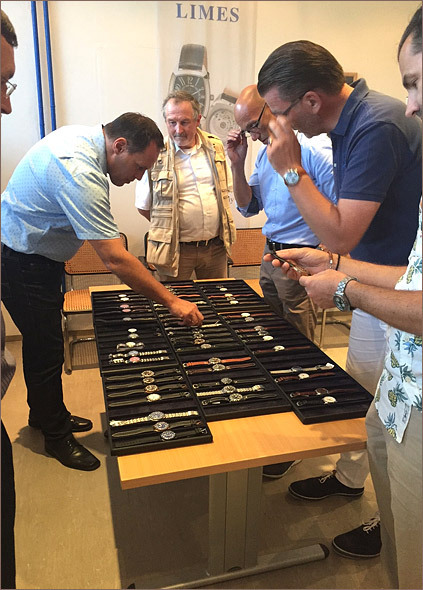 It was a pleasure to meet all this watch enthusiasts and experts. We had a great afternoon and very interesting conversations. We are happy to inform you that we offer Pilots 42 and Pilot 39 again with a date option at 6. The price is EUR 580 (including VAT) and EUR 487,39 (without VAT). 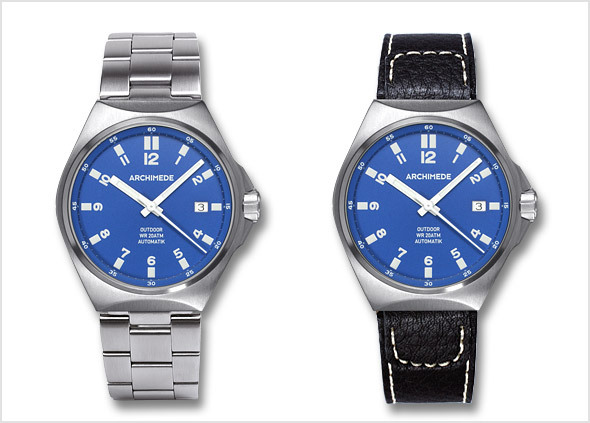 The watches can be ordered in our OnlineShop. 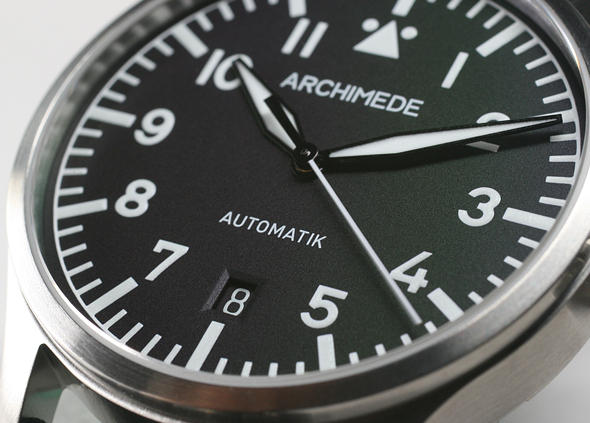 The ARCHIMEDE Klassik 42 is now available with stunning bilcolor cases. 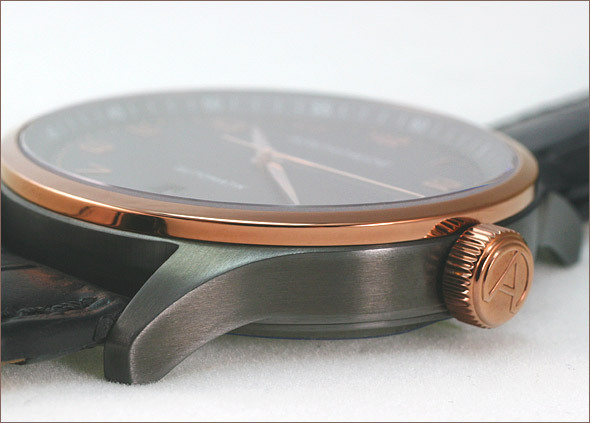 Please see below the great combination possibilities with black PVD and Antique Gold. The prices are from EUR 680 to EUR 740 (incl. VAT) and can be ordered in our OnlineShop.